Today with lunch I had a bottle of Czech Black Lager from Pivovar Herold. I picked it up in Lidl the other day.I seemed to have missed this beer when I was in the Czech Republic. It pours well with a nice caramel coloured head that lasts well. On the palate are lots of interesting flavours. Toasted nuts and dried fruits are followed by toasted malts, caramel and cocoa. It is a nice light summer beer with a good mouth feel and a decent finish. 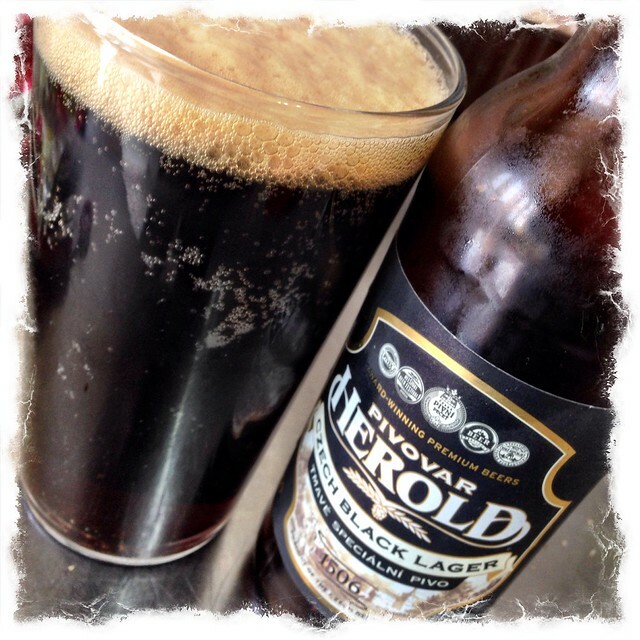 This entry was posted in Beer Adventures and tagged Pivovar Herold on June 30, 2015 by Richard.